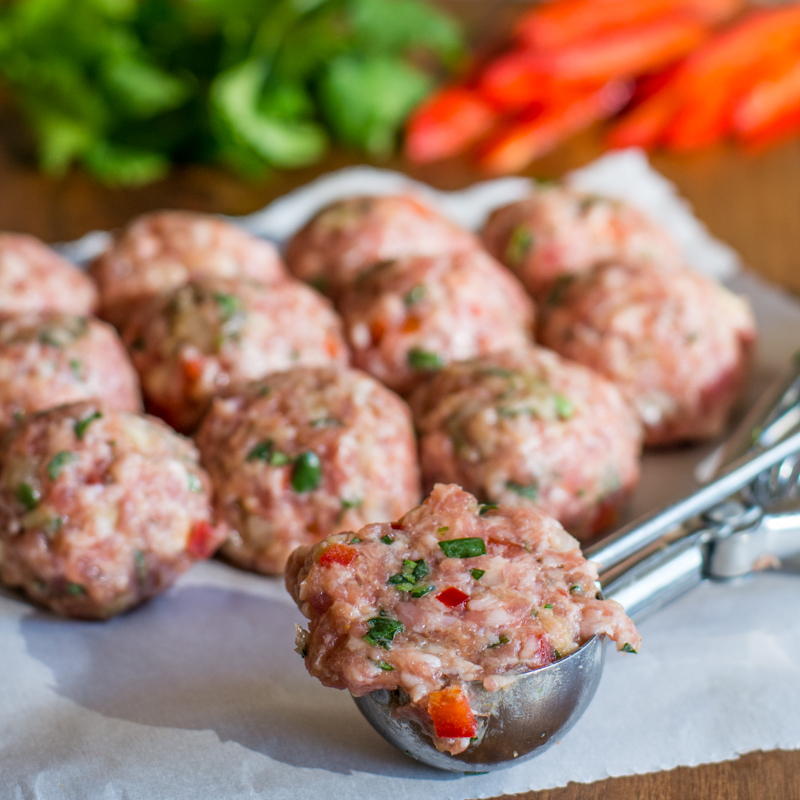 Enjoy these little Vietnamese inspired pork meatballs as an appetizer as pictured below, in a soup, in a salad pictured above, or even on a sandwich! I wanted to create a meatball and I knew flavors like fresh ginger, garlic, cilantro and lemongrass would pair nicely with pork. 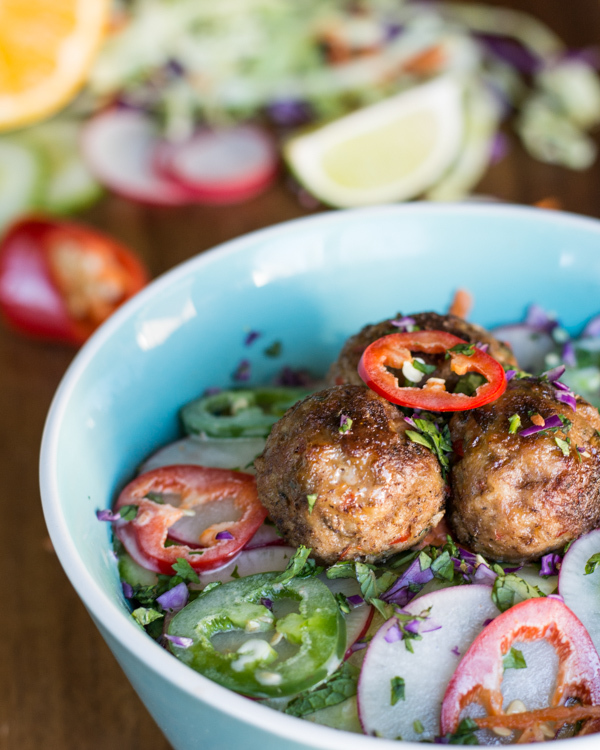 So here’s my take Vietnamese meatballs that are light and full of fresh flavors! Tip: I used a small ice cream scoop to keep the meatballs uniform in size. Then gently rolled into round balls and placed on a lined baking sheet with all the sides touching. 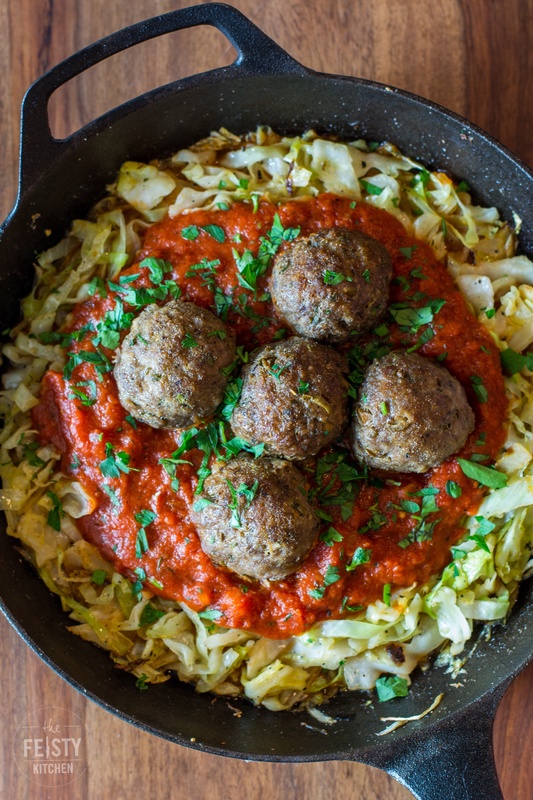 This method ensures the meatballs stay very juicy while cooking and don’t dry out. 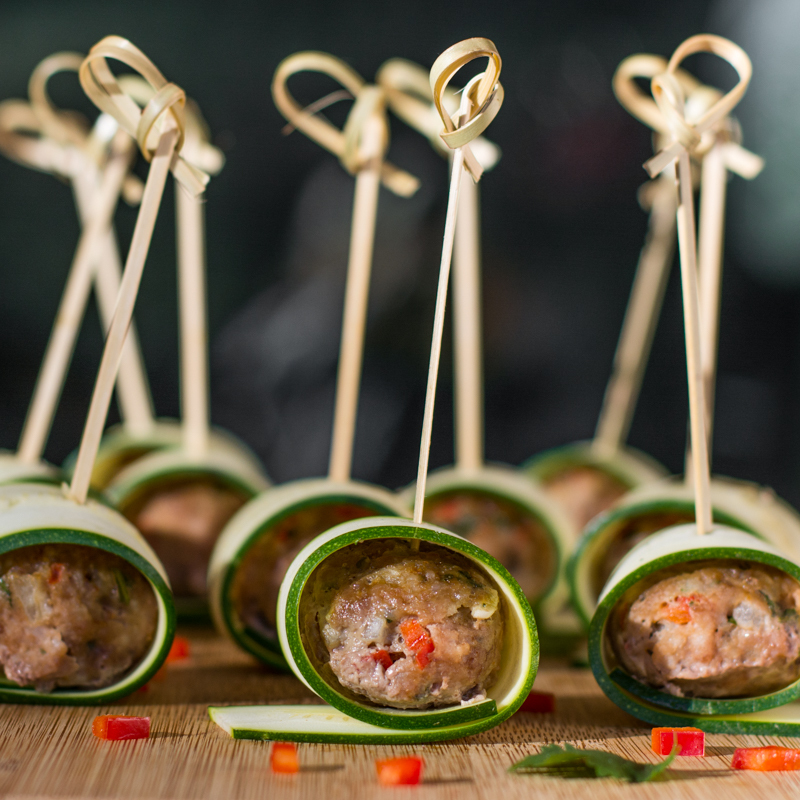 Here they are wrapped in raw zucchini slices as a fun way to present the meatballs for an appetizer/finger food dish. Great for parties. Serve with zucchini ribbons like pictured above for an appetizer, or in soup, salad, or sandwiches!